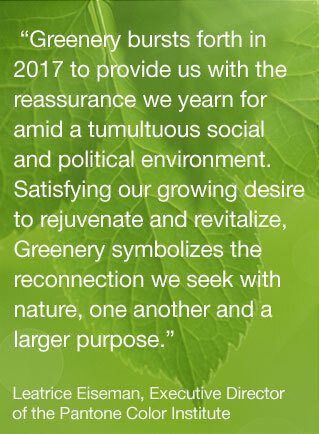 In contrast to peaceful and mindful thoughts that came with last year’s colours, greenery is all about energy and new beginnings. As you can tell, it’s a zesty yellow-green, springtime colour and with Pantone’s influence on the fashion world (do we all remember how much rose quartz and serenity fashion was around last year? ), we’re bound to see plenty of greenery popping up in shops this year. Below are some of my favourite pieces on sale right now for those of you on the look-out for something to suit the warmer weather. Claire and I both love a maxi dress, especially for those days when the weather is a little too warm for jeans. 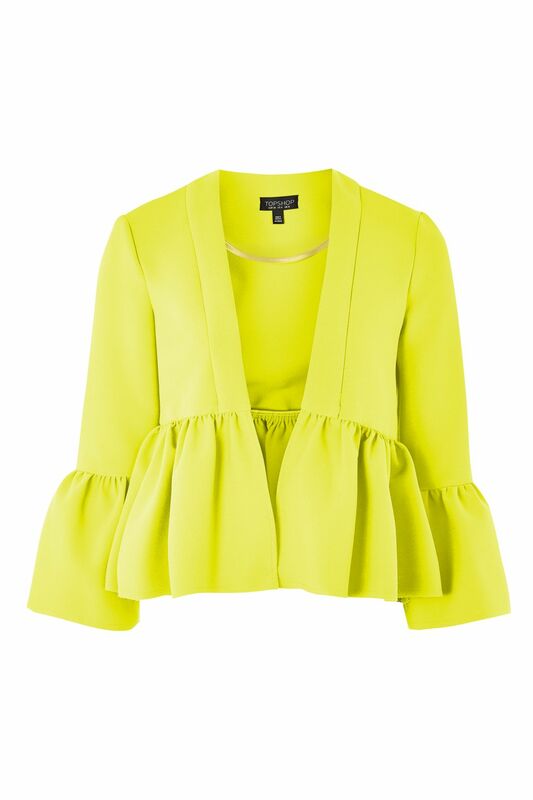 This lime green one is simple and perfect for going out in during the day. Buy it here. What I love about this colour is how well it goes with light blue jeans because I’m constantly wearing indigo or black jeans to work and it’s just too warm these days. This top is really nice and casual. It’s €12.99 but it’s part of a ‘2 for €15‘ deal so you may as well buy another one! 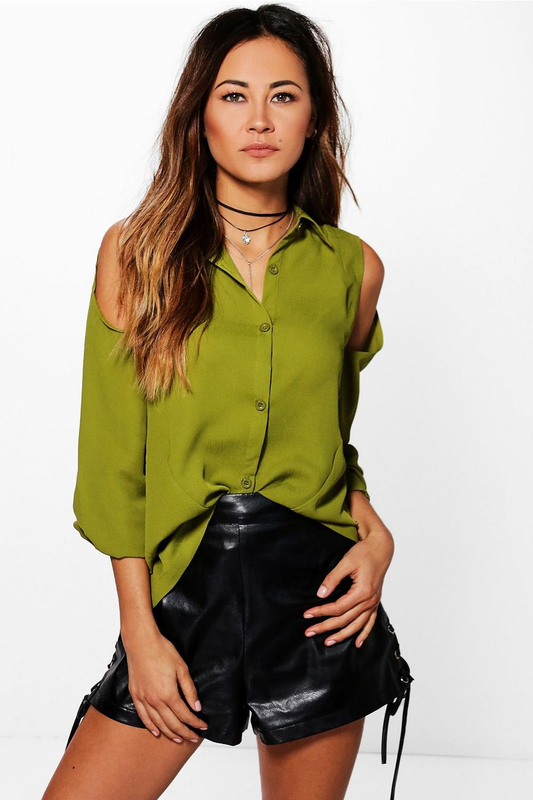 Buy the green top here. I’m obsessed with this top. 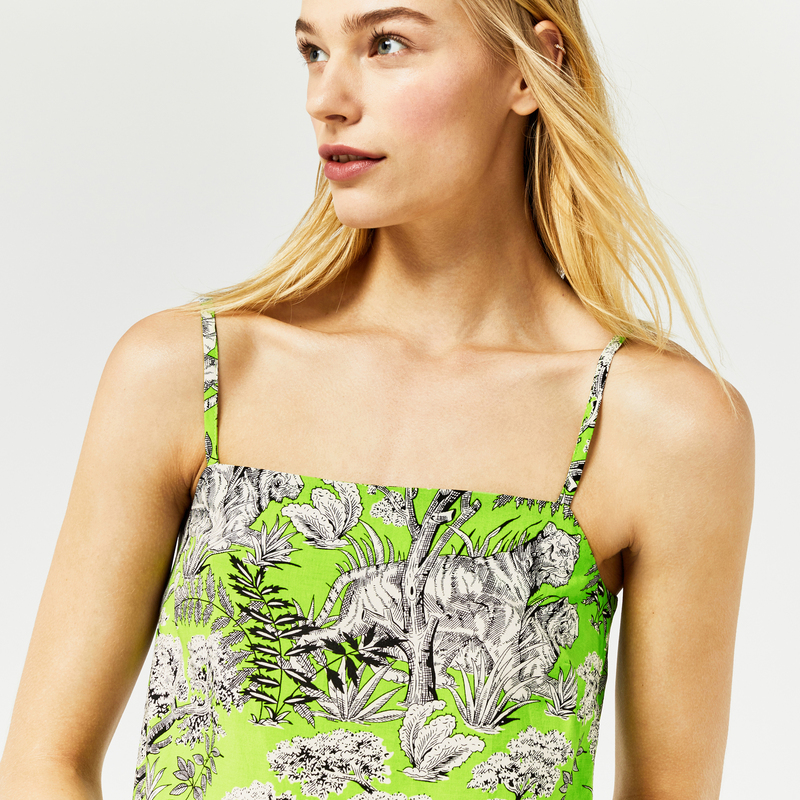 I love the pattern against the colour and it’s perfect for going from the office to after-work drinks or for sitting in a sunny beer garden with jeans and sandals. This print also comes as a skirt or a dress. Buy the top here. I’ve done a full 360 on shirts. They’re pretty much all I wore in college, and then after wearing casual dresses pretty much every day for three years, I’ve come back to them, and this one is gorgeous. I love the cut out shoulder detail too. Buy it here. The most expensive piece on this list, this is a real statement piece for those who want something that really stands out when it comes to this year’s Pantone colour. Buy it here.